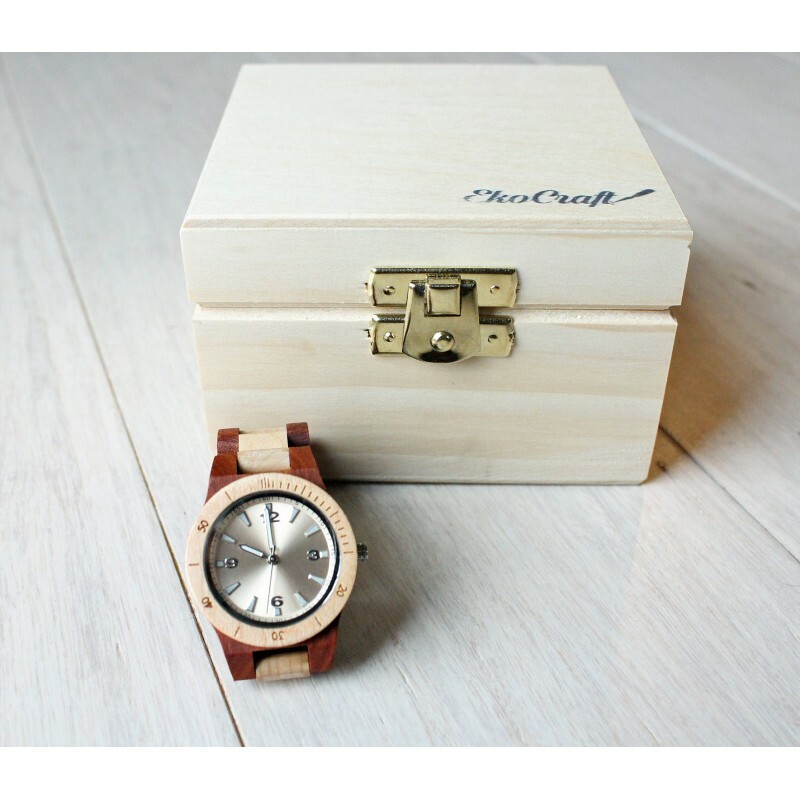 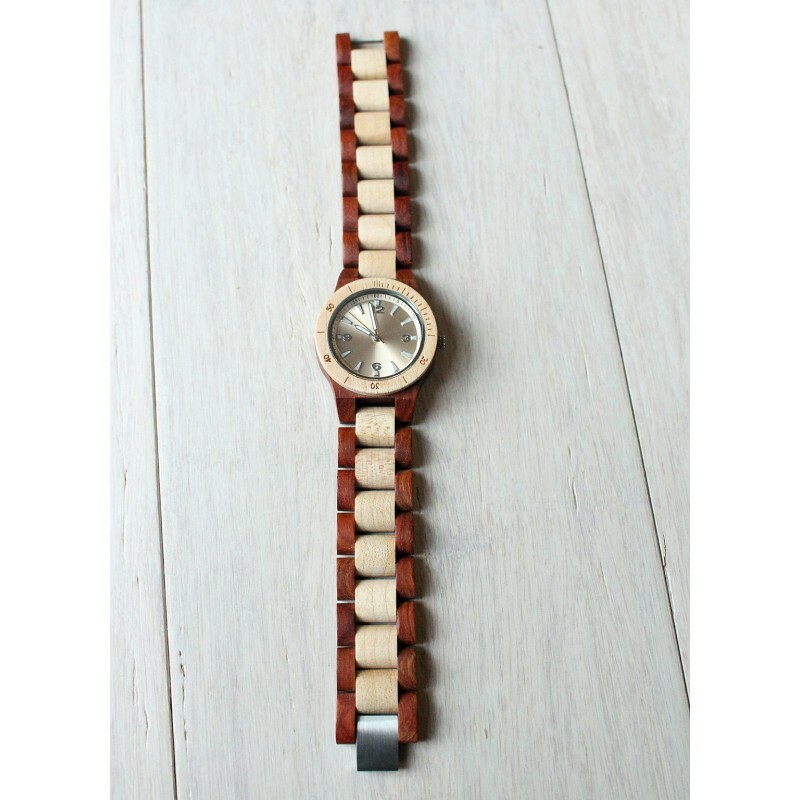 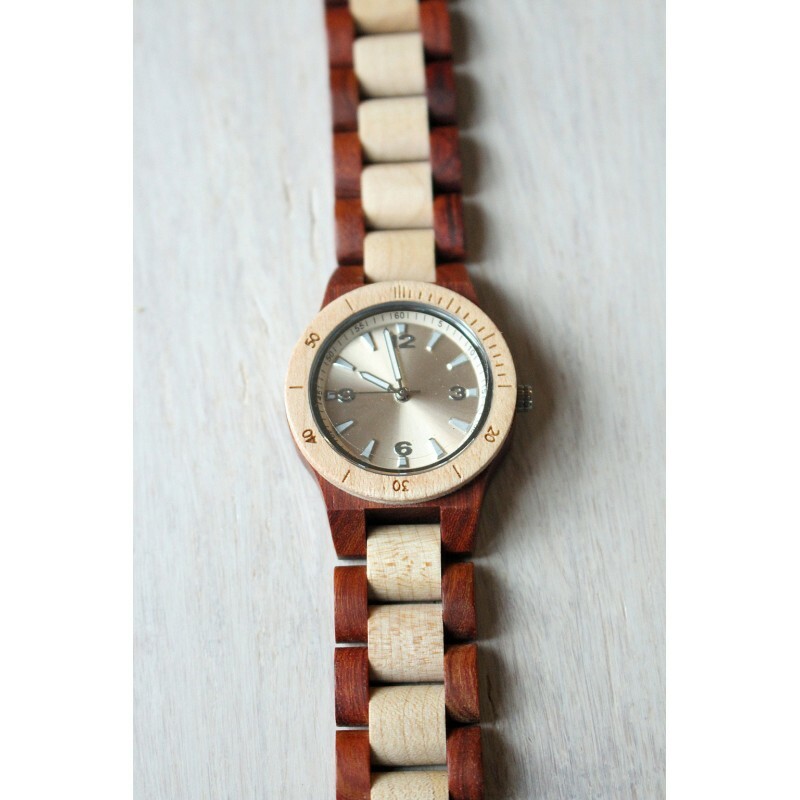 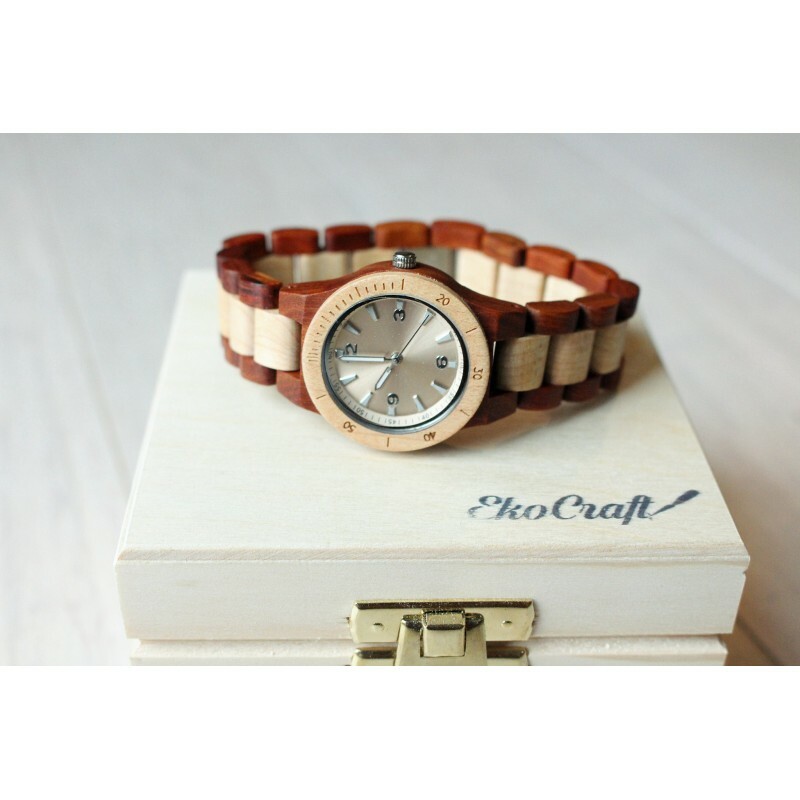 High quality wooden watch with Japan quartz movement. 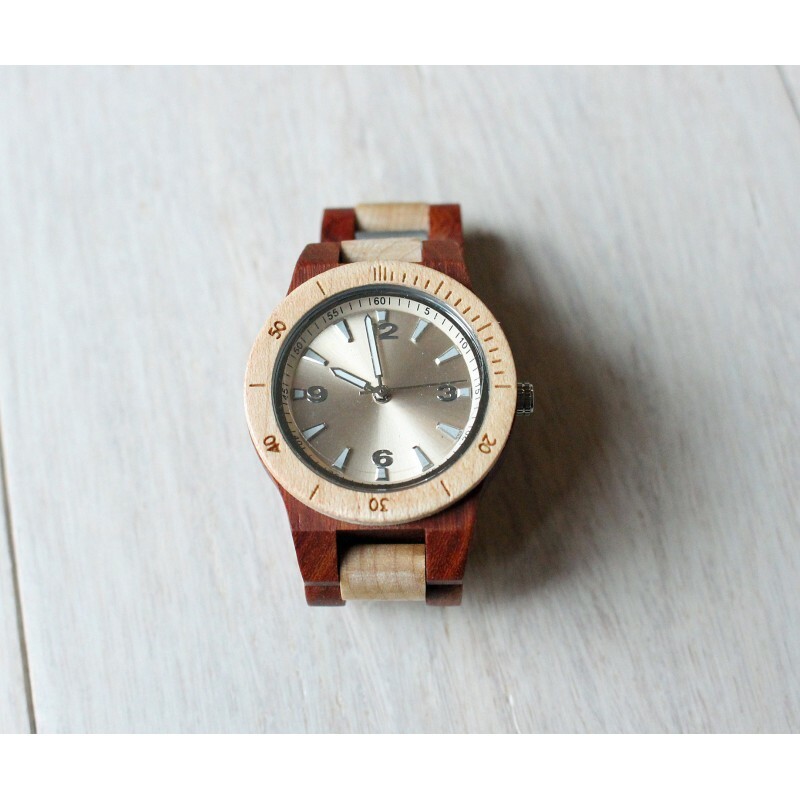 The smallest of all our watches. 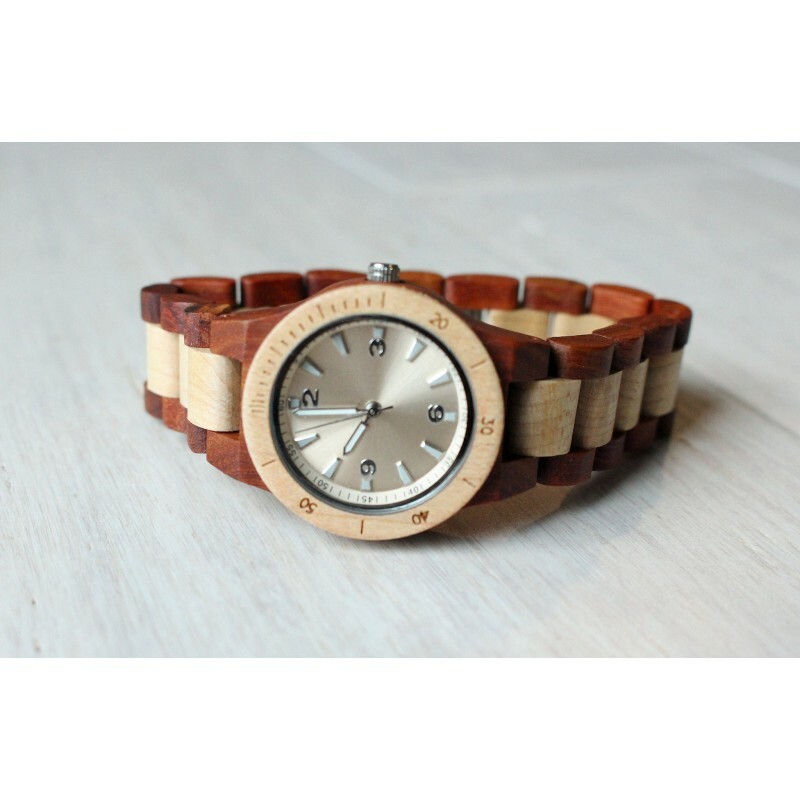 Diameter of the watch face 3 cm (about 1.2 inches ). 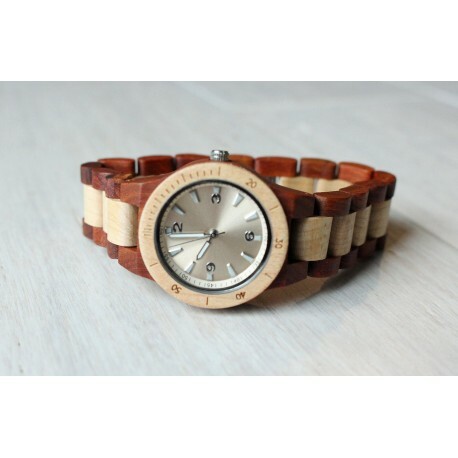 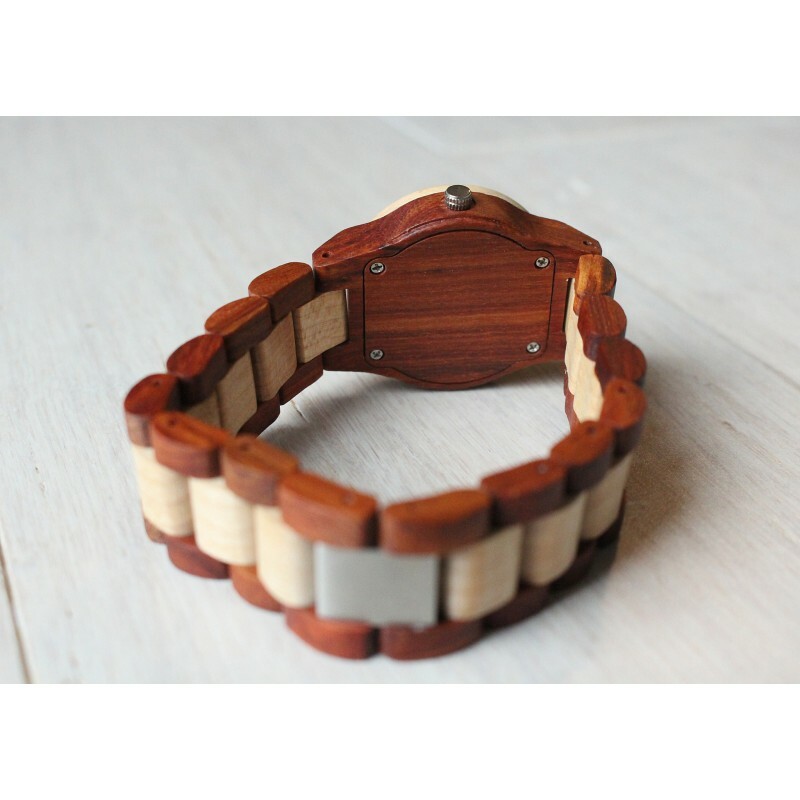 The watch on wooden brancelet (19 cm long) is made of palisander and maple wood. 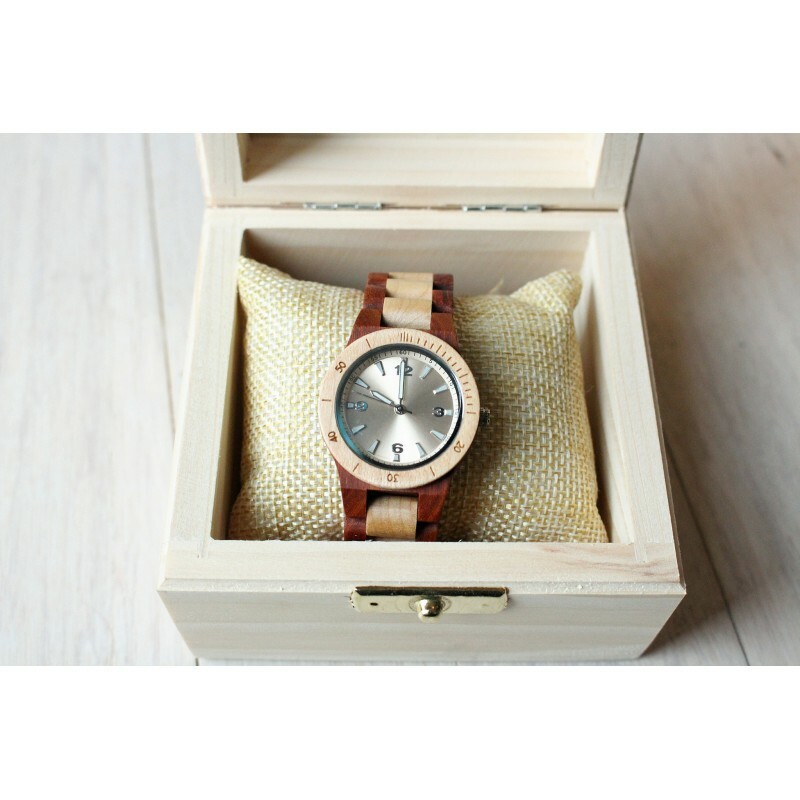 Ø all have elegant wooden gift box.